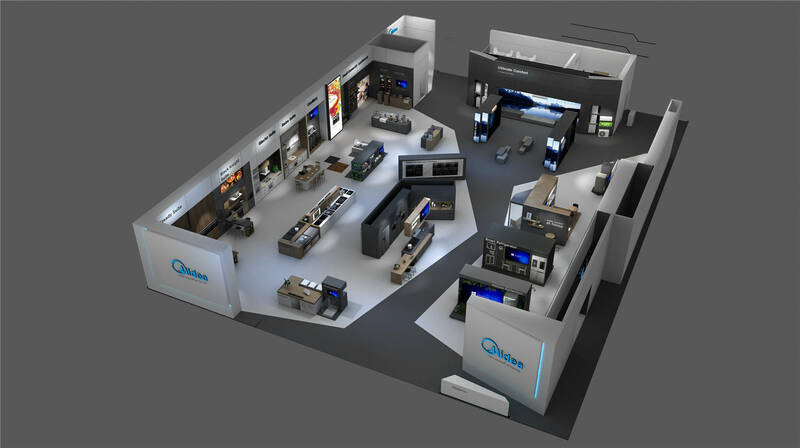 Berlin, Germany, 1st September 2017 – Midea Home Aplliances, part of Midea Group Co Ltd (SZSE 000333), the world’s largest home appliance company and world’s #1 major appliances producer has doubled its booth size at IFA Berlin to unveil all of its new categories at the same time and location. 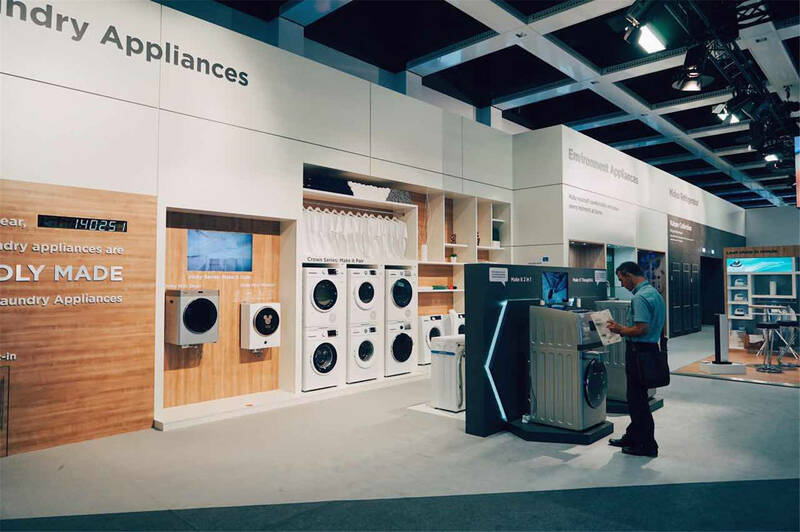 Midea offers a vast portfolio in all possible home appliance categories – from air treatment (HVAC for B2B and B2C) to refrigeration, laundry, large cooking appliances, small kitchen appliances, water appliances, floor care and lighting. 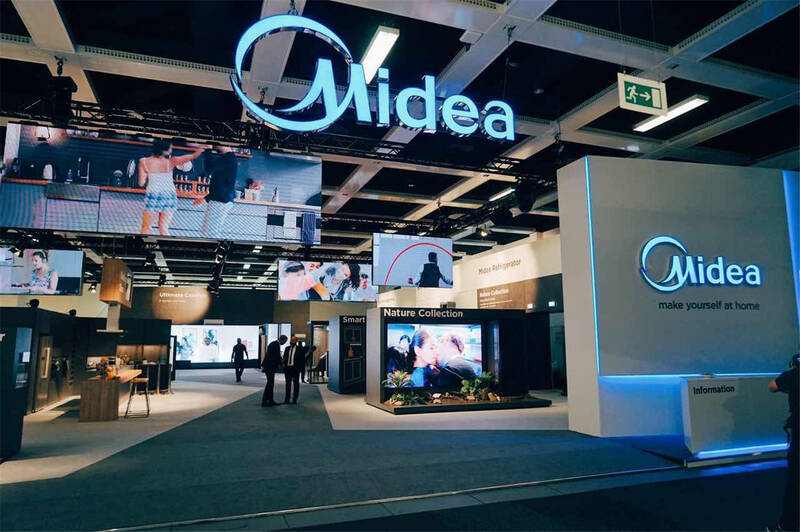 “Midea Group has had a strong year of important M&As and we have taken significant steps toward becoming a global leader in home appliances, HVAC (heating, ventilation and air-conditioning) as well robotics and industrial automation systems due to our increased investment in research and development . 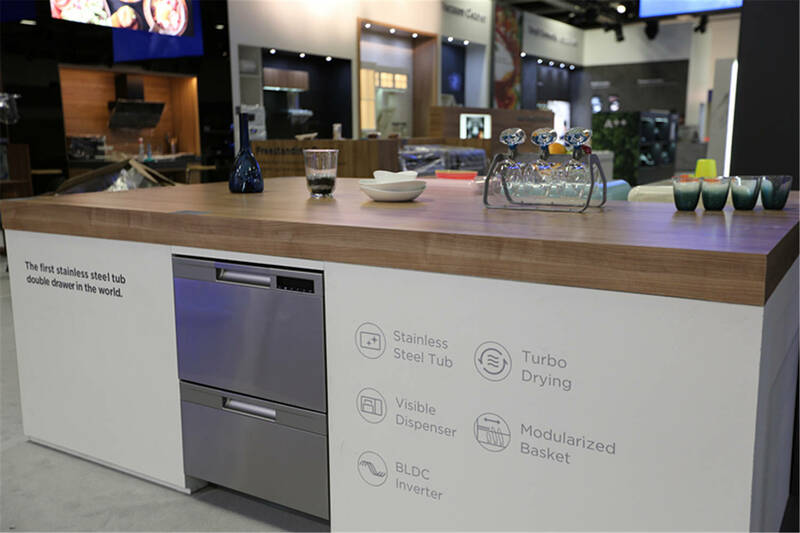 Midea’s focus has also been on optimizing our product structure with a greater emphasis on customer-centricity.” said Brando Brandstaeter, Head of Global Brand & Communication at Midea. 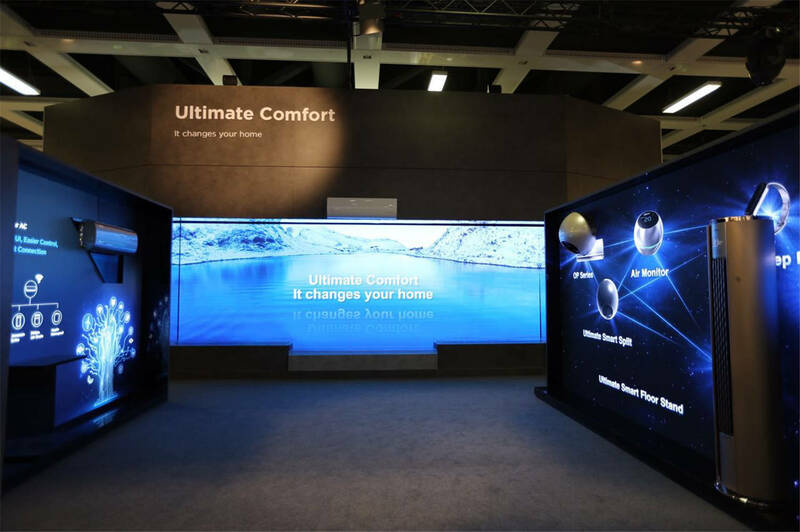 The Midea booth this year is also equipped with a state-of-the-art audio-visual entertainment system to showcase the company’s latest innovations & developments. The showcase will bring to life Midea’s mantra “make yourself at home” and will highlight the surprisingly-friendly features of the products that enable consumers to really “feel at home” by transforming home chores and daily maintenance tasks into just more enjoyable tiny family moments. With the silky cool feature, Midea’s Ultimate Comfort split is able to soften the airflow by 2 special deflectors. In this way, it provides users an ultimate comfort cooling experience but will not be blew by the AC directly. 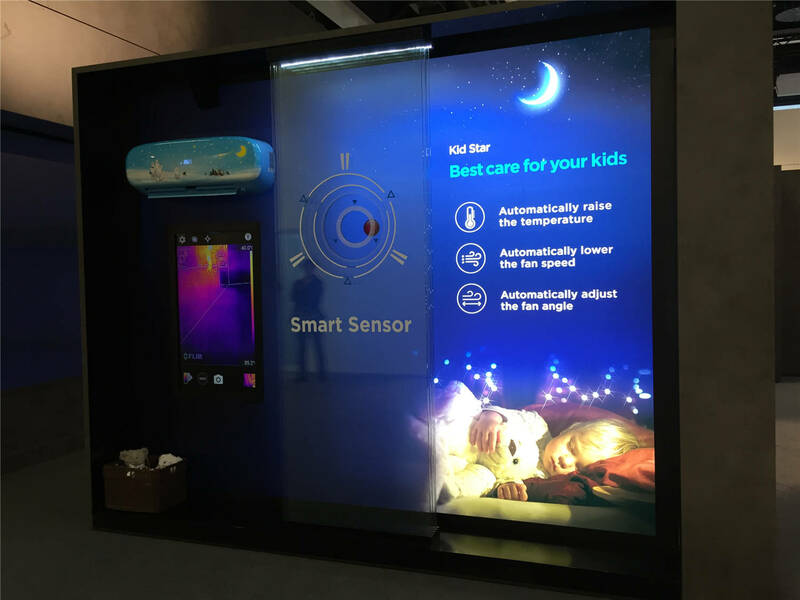 With smart sensor, Midea’s Kid Star Series is able to detect the children’s sleeping situation. Once the child kicks the blanket away, it will raise the temperature, adjust the fan speed and angle. In this way, it can keep children from catching cold. 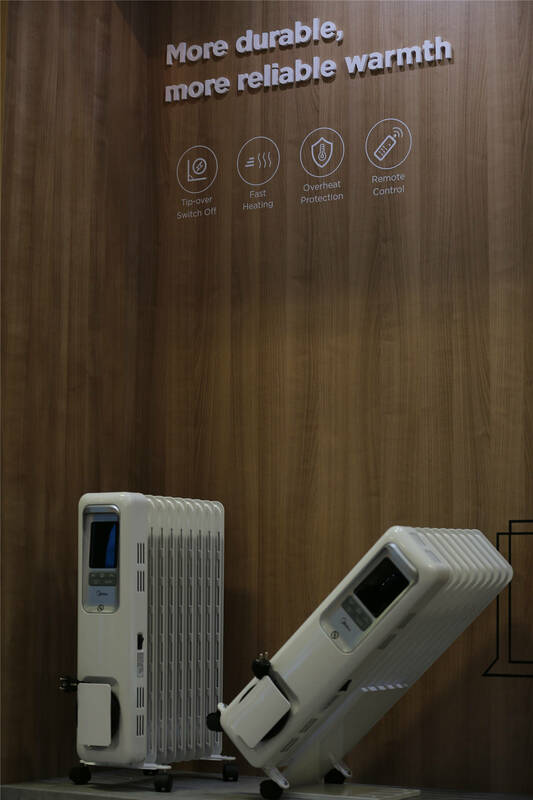 The Midea Smart Kits can control the Smart Series products including Ultimate Smart ACs and projector ACs by voice control and somatosensory control. Midea’s Inverter Cooling Fan with 26 modes of speed is designed for all different needs at home. Find your personal favourite speed and make yourself at home. Midea oil filled Radiator creates a safety environment for your family. Safety tip-over switch built in - if the machines is fallen, it can automatically power off, to prevent the occurrence of dangers. The design ideas of Midea’s Nature Collection comes from nature. The personality of this series is Big, Original and Green. The new model of 70 combi has a bigger volume with the same size due to the advanced technology of ultra-thin cabinet and air duct. Light freezing and new humidity control technology help to keep the original flavor of food. The liner and door seal made from food safety material and the new foaming technology make us a green product. In Midea’s Kitchen corner you see the world’s first stainless steel tub Double Drawer Dishwasher. Midea’s FlexCeramic Hob enables cooking different foods in an vast variety of pots and pans from small to large, and allows continuous heating with no temperature fluctuation. 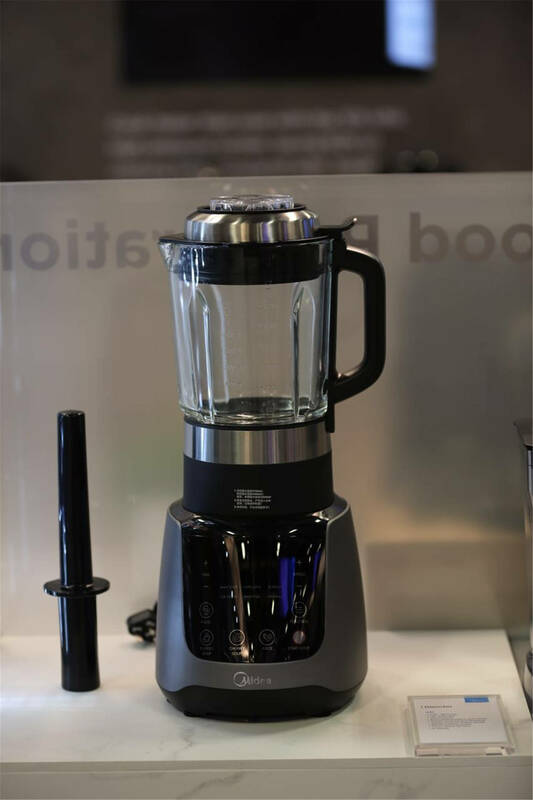 Midea’s versatile Cooking Blender featuring with off-center blending jar to create more effective and smoother blending results – making it possible to blend and heat everything, from smoothies, soups, sauces and much more. 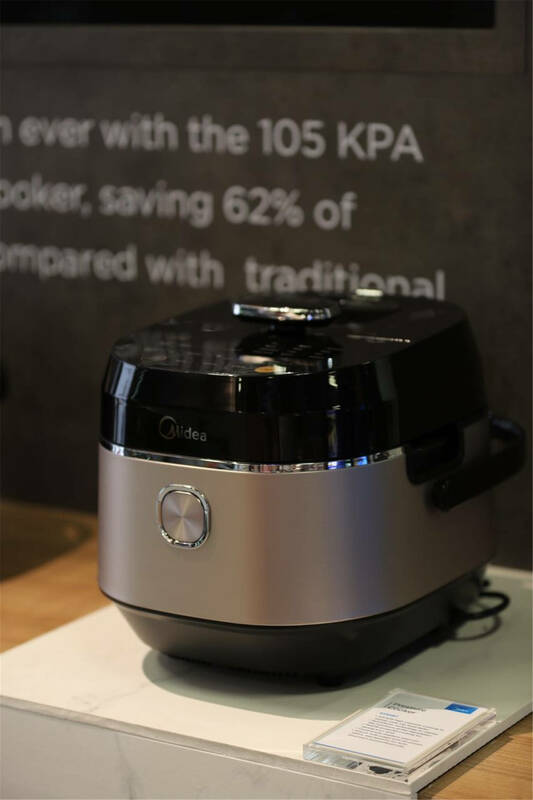 Midea’s new Pressure Cooker comes with 105 KPA high pressure cooking that cooks the food much faster than ever and delivers the softest and delicious moist taste even for the toughest ingredients. 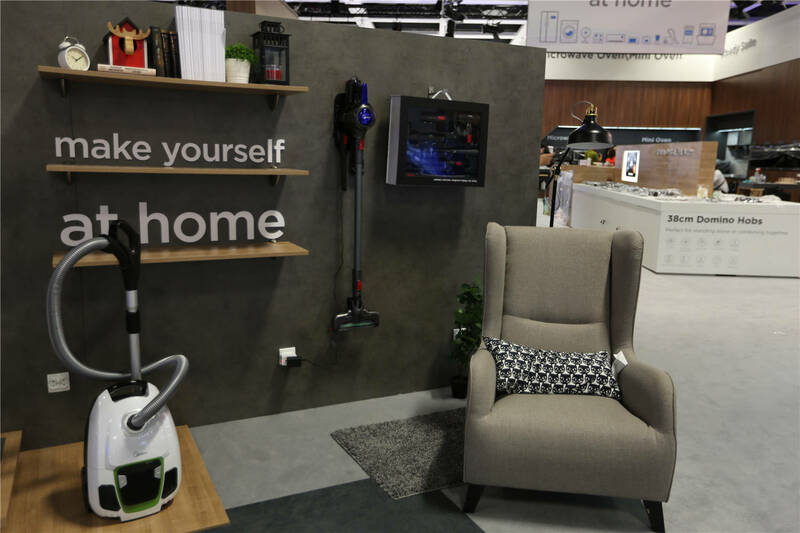 Midea’s new Cordless Stick Vacuum Cleaner Power P3, equipped with 21.6V Li-ion interchangeable batteries, a low noise DC motor and motorized brush, inspires home clea ning with its super light weight, portability and multi-function. Midea’s new Glory 11 Front Loading Washer with Easy-Jet function for better clean detergent residue on glass door and gasket. Midea’s technology and product innovation has also been recognized by IFA with the company winning several key awards this year at IFA. Midea will be presented with the 2017 IFA Product Technical Innovation Award, the Multi-stage IH Heating Technology Gold Award, and the Zero Cooling Water Technology Innovation Gold Award. 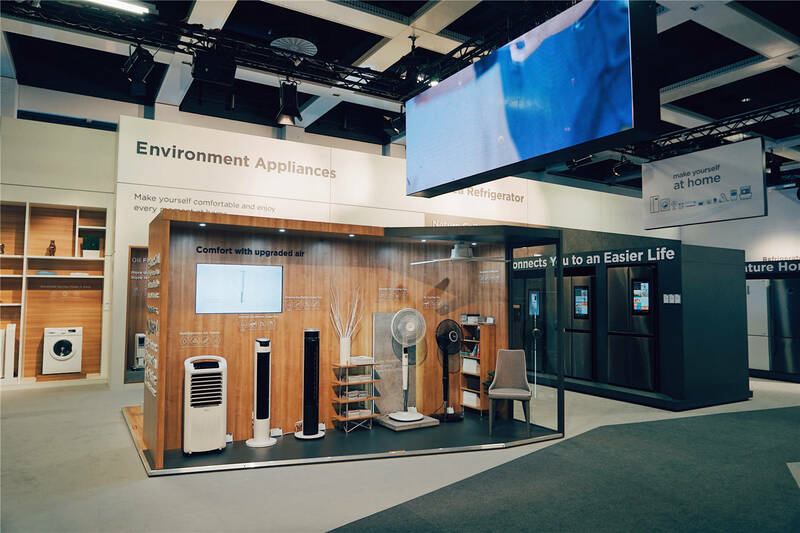 Midea invites you to visit its expanded booth and discover its latest innovative product portfolio at IFA Berlin (1st-6th September) is located at hall 5.1, booth 108.